Bhina Koli, 22, was assaulted by her husband when she was 7 months pregnant. Now, 2 years on, thanks to help from UK aid supported women’s centres, Bhina has started to rebuild her life. Naseem remembers the day when 22-year-old Bhina Koli was brought to the police station in Rapar, a small town in west India. She was bleeding profusely. Naseem works as a social worker with the Nari Sahayak Kendra (Women support centre) situated within the Rapar police station. Bhina, who was seven months pregnant at the time, had been assaulted by her husband in the market. Naseem helped Bhina to get immediate medical treatment and to file a complaint at the police station. These women’s support centres located within the state’s own police stations and supported by UK aid from the Department for International Development, provide spaces where women can feel comfortable and discuss their problems freely. Three months later, Bhina delivered a son and returned to the support centre with her parents to follow through with her case. Bhina’s husband still threatens Bhina and her parents. But now with regular counseling and support from the women’s support centre she has become confident. Her health has improved. Each time her husband threatens her she tells the police. The women’s centre helped Bhina through the legal processes and supported her to become economically independent. With a twinkle in her eyes, Bhina states, “I now have so many experienced ‘ben’ (sisters) to guide me. I trust them and feel there is someone who will stand by me in any situation.” Bhina’s son, Vijay, is 2 years old now. She is learning to stitch and also helps her parents in selling fruits. Today, 17 women’s centres are working in 16 districts of Gujarat, Uttar Pradesh, Uttarakhand, Odisha and Andhra Pradesh with the aim of supporting women who have faced violence – as a part of the UK aid supported project with Oxfam. More than 20,000 women have approached these support centres since they were started in 2010. The joint effort of police officials and these centres has led to many women receiving prompt counselling, free legal aid, swift filing for maintenance and child custody and follow-up through the tedious court proceedings. “It takes a lot of courage for women to stand up for their rights. To say that they will not face violence any longer, or accept a bigamous marriage, that they will not tolerate being humiliated is considered an affront to the patriarchy system”, says Nisha Agrawal, Head of Oxfam India. More than 1 in 3 married Indian women has faced some form of domestic violence. Studies have found that options available to women who suffer violence are often limited. UK aid is working with Oxfam to develop support structures for women like Bhina at several levels. Nyaay Sammitee (Gender Justice Centres) based at the community level involve motivated women from the local community trained as paralegal volunteers. Nari Adalat (Women’s court) is another support mechanism to provide women with free legal services, and volunteers proactively approach the survivors in case they need help. Pictures and research credits to Jyoti Patil. Combatting Violence Against Women and Girls (VAWG) is a part of the overall strategy and a high priority for DFID India, as well as for the Indian Government and non-government partners. India has reinforced its commitment to improve the lives of women and girls proposing a number of measures for women in the annual budget 2013 released recently. It includes increased spending to improve women’s safety and a bank only for women. 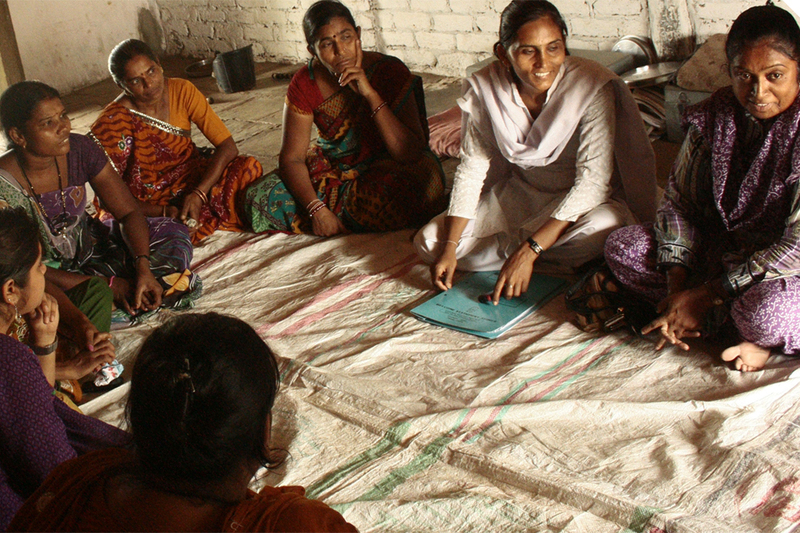 Current UK aid supported activities include supporting the Government of Bihar to implement India’s 2005 domestic violence act and research to help fill India’s and the developing world’s evidence gap on ‘what works?’ to prevent VAWG. 34% of Indian women have experienced physical violence since the age of 15. Among these women, 77% of these experienced violence from their current husband and 7% from a former husband. Rural women are more likely than urban women to have experienced violence in the last twelve months (36% vs 28%) in India. Globally 1 in 3 girls will be beaten or raped in their lifetime.